Finding Treasures: Is the Community of Philosophical Inquiry a Methodology? In the world of Philosophy for Children (P4C), the word “method” is found frequently in its literature and in its practitioner’s handbooks. 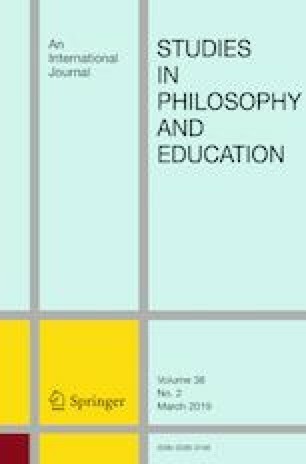 This paper focuses on the idea of community of philosophical inquiry (CPI) as P4C’s methodological framework for educational purposes, and evaluates that framework and those purposes in light of the question, what does it mean to bring children and philosophy together, and what methodological framework, if any, is appropriate to that project? Our broader aim is to highlight a problem with regards to the concept of method in P4C, and to question the consequences of that concept in the practice of philosophical dialogue with children. To better situate the concept of method within P4C (which, we think, will help to clarify some of the dialogues and debates within P4C as a philosophical field), we will identify two different historical understandings—represented by Rene Descartes and Hans Georg Gadamer—of the concept, and suggest new possibilities for understanding philosophical practice with children in light of their difference. This is a shortened and different version of a previous paper, published in Portuguese, at Educação e Filosofia, Journal of the Instituto de Filosofia da Universidade Federal de Uberlândia, Brasil. The authors thank Cameron Duncan and David Kennedy for their contribution to the English of this text. Funding was provided by Conselho Nacional de Desenvolvimento Científico e Tecnológico (Grant No. 202447/2017-0) and Fundação Carlos Chagas Filho de Amparo à Pesquisa do Estado do Rio de Janeiro (Grant No. E_03/2018). Golding, C. 2010. “That’s a better idea!” philosophical progress for philosophy for children. PhD thesis, Graduate School of Education & School of Philosophy, Anthropology and Social Inquiry, The University of Melbourne, http://hdl.handle.net/11343/35757. Access: 08/20/2018. Jasinski, I. 2018. The Use of Philosophy with Children as a Pedagogical Practice. Theses, Dissertations and Culminating Projects. Upper Montclair: MSU, (Dissertation). Accessed March 3, 2019. https://digitalcommons.montclair.edu/etd/171.